The task of mass hiring can be very hectic. Therefore, if your organization is lacking resources to fulfill staffing requirements, we, Aarna Consultancy, can help you. 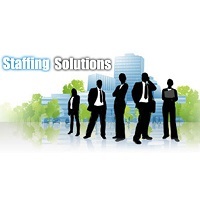 We are a well-known Consultancy Firm that provides Staffing Solutions in India. A team of highly experienced HR professionals backs us. Our team is well versed in serving requirements such as Contract Staffing, Permanent Staffing, Temp Staffing, Outsourcing, IT Projects and Business Solutions. Thus, you can rely on us to provide suitable solutions for your problems.